I was told this story by one of the caciques (chiefs) who hosted me in my recent visit to Munduruku traditional lands. The Munduruku People have been fighting for official recognition of their territory for over a decade in order to stop hydropower developments from destroying their forest and river. The threat of this destruction is very present; a current mega-dam proposal on the Tapajós River would be the first of 40 dams in this part of the Amazon, opening the floodgates to a hydroway — a motorway of dams — that many fear will drive a stake into the heart of the Amazon rainforest because of the scale of the development. In my conversations with Munduruku leaders, they talk of the forest, the river and themselves — as all part of the one living system. What you do to one, you do to the other. They know their fates are intimately linked to that of the forest and the river. To the Munduruku, the fight against these dam projects is about more than protecting their communities and livelihoods, it’s about protecting life itself — from the worms, to the fish, to the trees. For those of us whose daily lives take place in cities, it is easy to forget that our wellbeing and survival are also intimately linked to that of the natural world. It is this loss of connection and understanding of that vital interdependence that is the source of many of the problems our societies struggle with today. 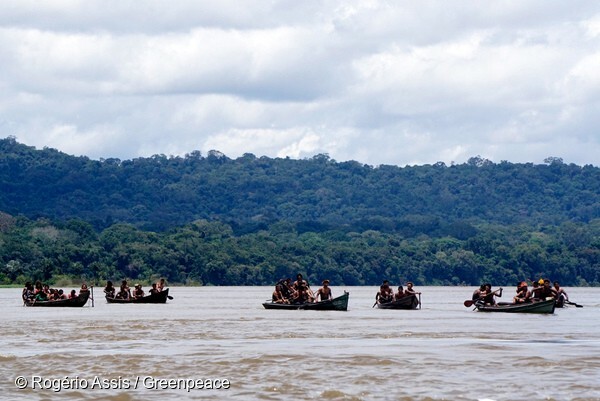 The survival of the Amazon isn’t just crucial to the Munduruku, it is crucial to all of us. This rainforest helps keep our climate stable. Building dams here threatens extraordinary wildlife, plants and animals, many of which only exist in this one place. It causes more deforestation and creates new entry points to the rainforest for agriculture, mining and logging. To allow dams here is to begin to unravel an ancient and fragile part of our planet’s life support system. The fight for Munduruku land in the heart of the Amazon is a microcosm of the broader fight for the planet itself. The Munduruku are working hard to protect their forest and their river because they know that without it, they will have nothing. All of us, wherever we live should be working hard to ensure the protection of the natural world, because without it we too will have nothing. 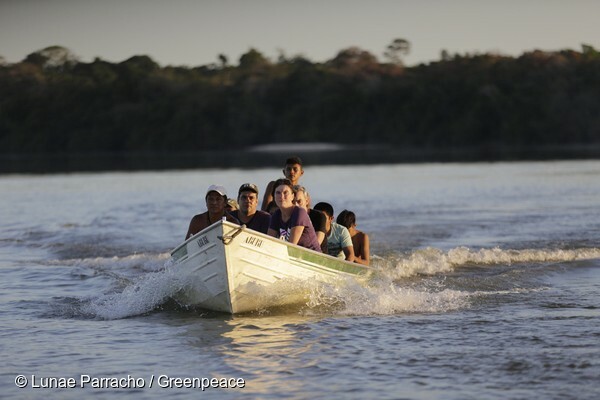 Greenpeace and over a million people around the world believe that the Tapajós River and the Amazon rainforest must be protected and are standing with the Munduruku in their battle for land recognition to stop this dam project. Greenpeace has also done the hard yards on what energy alternatives exist right now that could replace what the dam project would provide — without wrecking the environment or Munduruku land. This week, people are taking action in places thousands of kilometers from Munduruku territory, telling companies like Siemens that might get involved in dam projects on the Tapajós to stay away. It is all of our role to bring others into this fight. For the Munduruku, the Amazon and for ourselves. We must stand up for the protection of the natural world and for development that doesn’t value profit for some at the expense of the living systems we all rely on. Nobody should be able to blow up anybody’s heaven.